Between Christmas and my birthday (the two are only a week and a half apart), I found myself on the receiving end of some pretty awesome gifts. 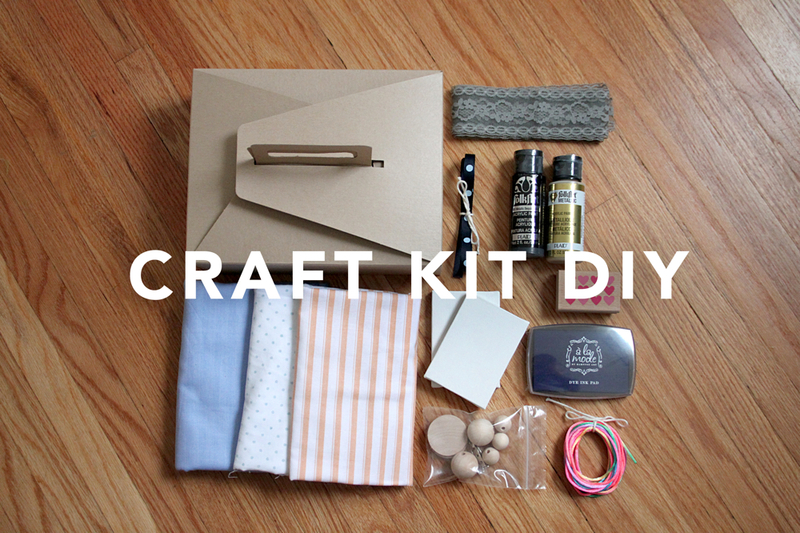 One of my favorites was this craft kit that was thoughtfully pieced together by my good friends, Tina and Sean. I loved it so much that I can’t wait to steal the idea! Not only would this make a great gift for a crafty person like myself but it would be a wonderful activity kit for kids at a wedding or a cute take away at a birthday party or shower, don’t you think? A variety of crafty supplies….fabric scraps…pens…markers…acrylic paints…strings…ric rac…ribbons…cardstock…blank cards…stickers…etc. BE CREATIVE and know your audience! Tie it up pretty with ribbon or string and you’ve got yourself a memorable gift or takeaway that anyone would love! enjoy! P.S. here are some of my favorite craft good suppliers// Olive Manna, Happy Tape, Garnish, Paper Source and Paper Mart. Oh wow! Thank you that is so sweet! I just found your blog… i love it! Lauren, thank you so much! Glad you found me!! !